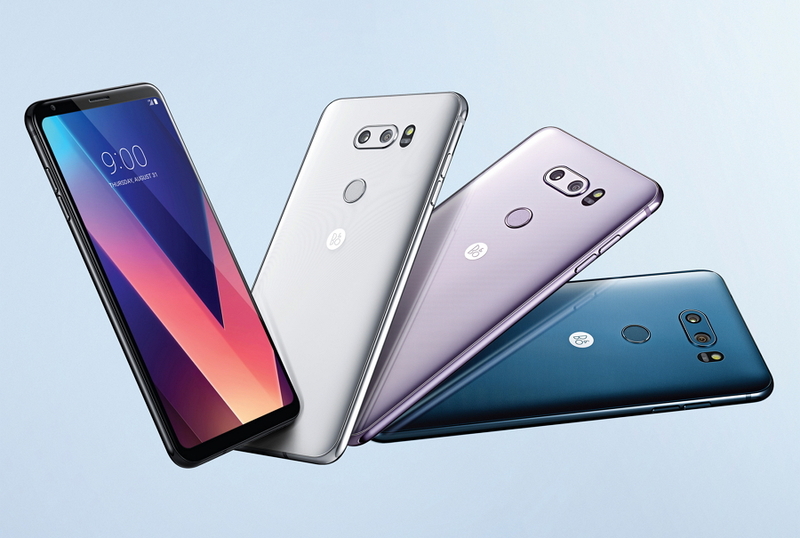 LG Electronics (LG) begins shipping its well-regarded LG V30 smartphone to customers in its home country of South Korea this week and will be followed by deliveries to eager customers in North America, Europe and other key markets globally in the days and weeks to come. The LG V30 created strong interest at this year’s IFA 2017 in Berlin, winning 26 awards, the most for LG at the annual trade show. Audiences praised it for its superb design and range of innovative features with experts predicting it will be the phone to beat when it comes to creating professional-quality content without professional-level complexity. To best deliver consumers’ preference for big screens in small bodies, LG engineers squeezed a 6-inch, 18:9 FullVision display into a frame that is 8mm shorter and 3mm narrower than its predecessor. Sheathed front and back in tempered glass that curls around its edges, the V30 won accolades for its exquisite look and feel. Weighing in at only 158g, the V30 is the lightest smartphone in the 6-inch and over smartphone category. LG is a leader in smartphone photography, and the V30 extends this legacy. The phone features many industry innovations, including the first F1.6 aperture and glass lens in a smartphone camera, the ability to produce near professional quality movies and videos by shooting in LG-Cine Log format and the smartphone industry’s first OLED display in FullVision format. The F1.6 aperture lens that highlights the main camera captures more light for brighter-than-ever shots. The Crystal Clear Lens is composed of glass, a material usually only found in higher-end cameras that delivers more accurate colors and crisper images than traditional plastic lenses. As a video capture tool, the V30 is equipped with Cine Video mode to make anyone shoot like a pro. Cine Effect features 15 different presets that emulate genres from romantic comedy to summer blockbuster. And industry-first Point Zoom allows one to zoom in on any subject in the frame, not only the center object. LG-Cine Log saves files while preserving a wide dynamic range and color gamut to allow for more adjustments in post-production. All this, when combined with the QHD+ (2880 x 1440) OLED FullVision display, offers faster response times and minimizes afterimages for the ideal Google Daydream VR experience. Additional details including price and exact date of availability will be announced locally in each market.